Let Me Rise– a 30-minute film about the school choice debate in our nation’s capital and around the country – offers a compelling look at the future of the D.C. Opportunity Scholarship Program as told through the voices of the children whose educational futures continue to hang in the balance. The film features the personal stories and perspectives of District of Columbia families who are fighting to provide their children with a safe and effective education. The Oklahoma District Attorneys Association awarded a Legislative Appreciation Award to Representative Nelson for his support in working to improve the prosecutorial system in Oklahoma. With Rep. Nelson’s support, the public safety system has a voice at the State Capitol. The association’s membership consists of approximately 1100 individuals, including, district attorneys, investigators, victim witness coordinators and support personnel from all over the State of Oklahoma. The State House passed a bill today that will crackdown on deadbeat parents. 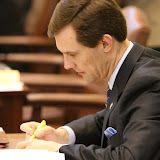 Senate Bill 1126, by Senator Clark Jolley and Rep. Jason Nelson, tightens statutory language related probation for failure to pay court ordered child support. SB 1126 will now go to the governor for his consideration.. Senate Bill 1126, by Senator Clark Jolley and Rep. Jason Nelson, tightens statutory language related probation for failure to pay court ordered child support. SB 1126 will now go to the governor for his consideration. House Bill 2176, by Nelson, makes it illegal for any chief executive officer or other administrative head of a state agency to use licensing authority (and the threat of revocation or nonrenewal) to pressure citizens into acting on the official’s behalf by “directly or indirectly” requesting “support or opposition” to legislation impacting the agency. The bill also creates penalties for state agencies that fail to file reports required by the Oklahoma Program Performance Budgeting and Accountability Act. Under the legislation, any state agency failing to comply with reporting requirements would face significant financial penalties. First violations could result in the loss of 1 percent of an agency’s fee revenue, 2 percent of fee revenue for a second violation, and 5 percent of fee revenue for subsequent violations. Agencies that repeatedly violate the law could ultimately be forced to pay for an outside firm to conduct an independent audit of the agency. House Bill 2176 passed the Oklahoma House of Representatives unanimously and cleared the state Senate today. It now goes to the governor to be signed into law. OKLAHOMA CITY (May 21, 2009) – House Republicans lauded the signature of landmark lawsuit reform legislation today, which will help reduce health care costs for all Oklahomans, reverse a doctor and nurse shortage trend and attract business and economic development to our state. For over a decade House and Senate Republicans have sought reforms to Oklahoma’s justice system, where frivolous lawsuits have increased health care costs, driven talented doctors out of our state because of high malpractice insurance rates and told companies to look to more business-friendly states when considering relocation or jobs creation. OKLAHOMA CITY (May 20, 2009) – Legislation ensuring Oklahoma’s current and future water needs take precedence over any other considerations overwhelmingly passed the House today. House Bill 1483, co-authored by Rep. Jason Nelson, R-Oklahoma City, asserts Oklahoma’s claim to its waters under federal interstate compacts, which have been agreed to by the state of Oklahoma and its neighboring states and have been approved by Congress. It also further restates existing law providing legislative oversight pertaining to water decisions. The state of Oklahoma is currently being sued by Dallas and Tarrant County, Texas, who are seeking a water permit to access clean Oklahoma water. At issue is a current statewide moratorium on out-of-state water sales, which the lawsuit claims contradicts the federal Interstate Commerce Clause of the Constitution. The moratorium is set to expire this November, and the trial is currently on the docket for December. The legislation passed the House with a bipartisan vote of 91-5 and returns to the Senate for final consideration. 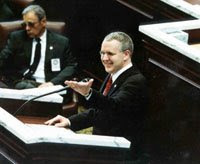 OKLAHOMA CITY (May 20, 2009) – Legislation that will streamline state information technology services and purchases while also working to prevent technology security breaches passed the House today. House Bill 1704 would create a Chief Information Officer (CIO), who would direct technology purchases for state agencies. The consolidation of technology contracts will help the state pool its purchasing power to help drive down costs and improve services. Instead of each state agency having its own small information technology (IT) contract, this legislation would allow the state to better leverage its purchasing power by buying IT equipment in bulk for agencies that have similar needs. Oklahoma is only one of four states in the country without a centralized technology officer. 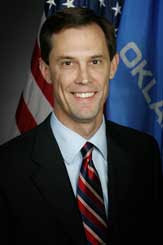 House Bill 2176 by Rep. Jason Nelson, R-Oklahoma City, passed the Oklahoma House of Representatives today unanimously. The bill is designed to hold state agencies and agency directors accountable to the tax payers and protect licensees from intimidation. HB 2176 contains amended language from House Bill 2187 which failed to get a hearing in the Senate Rules Committee earlier this session. The Bill provides for financial penalties for agencies that fail to file required financial reports. The measure also prevents agencies from asking their licensees to support or oppose legislation. "This bill will prevent agency directors from using their licensees as a lobbying force for the agency," said Nelson. "It also provides a financial incentive to agencies to comply with existing laws requiring annual financial reports to be filed by assessing a monetary penalty on agencies that fail to do so. It also provides for an auditor to prepare the financial report and charge the agency for the audit. If a taxpayer fails to file required documents on time agencies are ready to pounce but many agencies regularly fail to file financial reports as required without any penalty. This bill will change that. These agency financial reports provide a way to hold agencies accountable for the revenue they take in and how they spend this money." HB 2176 is now headed to the Senate for a vote. House Budget Chairman Ken Miller and Senate Budget Chairman Mike Johnson have announced a budget development on Rural Economic Action Plan funding. House and Senate leaders have identified a revenue source to fund the REAP at last year’s level less a standard 7 percent cut for the program. The revenue source will come from Senate Bill 658 by Sen. Aldridge and Rep. Nelson. SB 658 is set to increase the fine for delinquent tag renewal from $0.25 to $1 a day. “REAP funding has always been a priority of the Senate Republican caucus and I am proud we have found a way to provide these funds to this program,” said Johnson, R-Kingfisher. “Because of the vast infrastructure needs of rural Oklahoma, the House has been fighting for REAP funding since day one. Unfortunately, at the end of budget negotiations the funding was removed. This solution was found within the current budget agreement framework by redirecting monies to the program. This will enhance the economic development of the rural areas of our state, and in turn our state as a whole,” said Miller, R-Edmond. "REAP is an important program for our rural communities," said Nelson, R-Oklahoma City, "and I'm pleased our bill is able to provide the funding needed next year. I commend Rep. Miller and Senator Johnson for their committment to this program and their hard work to find the appropriate funding source." WHAT: Press conference to discuss the latest developments on legislation authorizing state funding of adult stem cell research. THE STORY AT A GLANCE: State Rep. John Enns, R-Enid, will discuss the latest developments in his efforts to obtain state funding for adult stem cell research. House Joint Resolution 1035, by Enns, would send a constitutional amendment to a vote of the people that would allow 10 percent of the interest earnings on the Tobacco Settlement Endowment Trust Fund to be used for adult stem cell research. That would provide more than $1 million annually for research efforts. Adult stem cell research does not require the destruction of embryos and has been successful in treating more than 70 conditions. Enns, who previously taught college courses on microbiology, was in an accident several years ago that confined him to a wheelchair, making him a potential recipient of future stem cell therapies. The Adoption Review Task Force is scheduled to meet this Friday, May 15, 2009 at 1 PM in Room 412C of the State Capitol. This meeting is open to the public. OKLAHOMA CITY – State lawmakers and technology security experts today said reforms advancing in the Legislature will increase protection of citizens’ private data and reduce its theft from government computers. In addition, the reforms would increase efficiency and reduce waste during a tough budget year. In recent months, several state computers containing citizens’ private information were either lost or stolen, including a flash driver from the Oklahoma Employment Security Commission and laptops from the Department of Human Services and the Oklahoma Housing Finance Agency. Two bills introduced this session would streamline information technology services and increase data security in state government: House Bill 1704, by state Rep. David Derby, and Senate Bill 980, by Senate President Pro Tem Glenn Coffee and Murphey. Both measures would create a Chief Information Officer for state government, who would direct technology purchases and security policies for all state agencies. Dan Yost, chief technology officer for Stillwater-based computer security firm MyLaptopGPS, said the legislation is a step in the right direction. According to a recent report by the Ponemon Institute, the average cost of a stolen laptop is roughly $50,000 per computer. Other studies suggest the cost may be greater – a 2002 CSI/FBI Computer Crime and Security Survey put the cost at $89,000 per laptop and the 2003 ACCSS said the average value of data on a laptop is $250,000. Yost noted that another laptop is stolen every 12 seconds, at least 2.6 million per year. A 2006 survey by The Ponemon Institute showed that 80 percent of government agencies surveyed reported losing data via laptop theft in last 12 months. In addition to creating security problems, lawmakers said the current system wastes money. “There is no need for each state agency to have a separate technology department and director when those needs are often similar,” Derby said. It is estimated that Oklahoma employs close to 1,500 state employees dedicated to information technology across various agencies. Some of those jobs are hard to justify given technological advances. Lawmakers are also working on broader reforms. House Speaker Chris Benge has also asked state Rep. John Wright to conduct a review of state information technology policies. “Clearly, the security of citizens’ personal data must be a top priority for state agencies,” said Wright, R-Broken Arrow. BY DONALD L. EWERT, Ph.D.
A comprehensive plan to provide Oklahomans with increased access to affordable, quality health care and private insurance is one step away from becoming law. House Bill 2026 will, among other reforms, strengthen and promote the state’s Insure Oklahoma program. The program, which is has been a national model for several other states, is a successful public-private partnership that gives premium assistance to small business workers and employers. The House passed the final version of the bill with a vote of 95-0 and it now moves to the governor for his signature. The legislation is based on the work last interim in the bipartisan House Health Care Reform Task Force, whose members sought ways to reduce Oklahoma’s high number of uninsured. The task force released a report that was unanimously endorsed by the Republican and Democrat members alike. The plan is designed to improve Insure Oklahoma by offering more choices for coverage to eligible participants. It also authorizes the use of basic health plans with catastrophic coverage for people under 40 to help reduce costs and increase options for young people who fail to see the value in paying costly premiums for services not utilized. In addition, HB 2026 establishes the Oklahoma Exchange, a website designed to assist, inform, and empower individuals seeking to enroll in an affordable insurance plan. Reform/improve Insure Oklahoma - Insure Oklahoma is an effective public-private model for providing assistance to Oklahomans who meet certain eligibility requirements and are seeking health care coverage. The program can be improved by offering more choices. HB 2026 directs both the employer-sponsored insurance and individual insurance plans to offer additional low-cost options, such as high deductible plans compatible with health savings accounts. Also, Insure Oklahoma would be modified to be more customer-friendly, especially at the point of eligibility determination and enrollment. Reform the Individual Market – HB 2026 will enable insurance providers to offer basic preventative plans with catastrophic coverage by relaxing mandates so more low-cost choices can be offered to uninsured Oklahomans. Establish the Oklahoma Exchange – The plan builds upon the current infrastructure to provide a service to assist individuals seeking to enroll in an insurance plan that would best meet their needs. Establish Enrollment Options at Point of Access - In order to provide greater access to private health insurance and strengthen the marketplace for insurers, hospitals, physicians and other health care providers, cost-shifting must be reduced to moderate premiums. Under this model, the Oklahoma Exchange would be used to proactively connect individuals without health insurance to coverage options. The Oklahoma State Department of Health announced today that it has expanded the hours of operation for its swine influenza toll-free hotline. The hotline will now be open from 8 am till 8 pm Monday through Friday. The toll-free number is 1-866-278-7134. Currently, no cases of swine influenza A (H1N1) virus infection have yet been confirmed in Oklahoma. Many hotline callers have asked about medicines to treat swine flu. Two antiviral drugs are available by prescription, Tamiflu and Relenza. They may make the illness milder and prevent serious flu complications, however, public health officials caution that persons should not request that their physician prescribe these drugs to take as a precaution or keep at home “just in case” they develop flu symptoms. The drugs should only be prescribed for those with life-threatening complications from the flu. Otherwise, overuse could result in limited supplies for those who need it most. In addition, overuse could lead to flu viruses becoming resistant to the drugs. Some callers are also questioning the potential for school closures. Public health officials advise that school closures should not be considered until there are confirmed cases of swine influenza in the state. Faculty and students should continue to practice general health precautions and stay home if they are ill.
- Wash hands often to protect yourself from germs. - Avoid touching your eyes, nose or mouth; germs are often spread when a person touches a contaminated object and then touches his or her eyes, nose or mouth. - If you are sick, stay home from work, school, and running errands. You will help prevent others from catching your illness. - Cover your mouth and nose with a tissue when coughing or sneezing. - Contact your physician if you are experiencing flu-like symptoms. Some antiviral drugs may be used to treat persons who become ill with swine influenza. Health officials also suggest that in the event the swine influenza A (H1N1) outbreak becomes more serious, persons should start now to be prepared. Store a supply of food and water. Have two weeks of your regular prescription drugs at home. Keep health supplies on hand, including pain relievers and cold medicines. Additional information on swine influenza is available by visiting the OSDH Web site at www.health.ok.gov and the federal Centers for Disease Control and Prevention swine flu Web site at www.cdc.gov/swineflu, or by calling your local county health department. OKLAHOMA CITY (April 30, 2009) – Gov. Brad Henry has vetoed legislation that could prevent sudden, arbitrary increases in health insurance rates. “By opposing this sensible reform, the governor has left the door open for future Legislatures to arbitrarily drive up insurance prices for Oklahomans,” said state Rep. Lewis Moore, R-Arcadia. House Bill 1975, by Moore, would give lawmakers more financial information about health care mandates before they vote on them. The bill would have required any legislation affecting health insurance mandates to be introduced in odd-numbered years, giving lawmakers a year to study the issue before voting on it in even-numbered years. Three years ago, a similar law was enacted to put in place the same scrutiny for bills with a negative fiscal impact pertaining to the state’s retirement systems, and that bill passed overwhelmingly in the House and Senate. (Oklahoma City) Saying it would hinder the state’s ability to respond to emergencies, Gov. Henry today vetoed a bill that would have placed tight restrictions on the consideration and passage of legislation dealing with insurance mandates for health care coverage. House Bill 1975 would have mandated that such insurance legislation could only be introduced in odd-numbered years and approved in even-numbered years of a legislative session. The bill would have also required a 75 percent super-majority vote to lift the mandate in case of an emergency. In related action, Gov. Henry signed into law Senate Bill 822, legislation that will create a task force to study the insurance mandate issue. "The Legislature separated Teacher Prep from the State Department of Education and our state is known to have some of the highest quality teachers in the nation," said Jones, R-Claremore. "I hope Gov. Henry is truly dedicated to working with legislative leaders this session to reform education in such a way that we see the results we know our students and teachers can achieve." YUKON — Adoptive couples who used a Yukon agency could be owed thousands of dollars in refunds, a complaint to the state Department of Human Services alleges. The complaint filed April 15 requests an investigation of ABC’s of Adoption. The agency’s former accountant filed it. (OKLAHOMA CITY) State Rep. Jason Nelson, R-Oklahoma City, issued the following statement in response to a story in today's Oklahoman ("Adoption agency faces complaint") detailing allegations that the ABC's of Adoption agency in Yukon has failed to refund money to adoptive parents. "I believe this story represents the tip of the iceberg," said state Rep. Jason Nelson, R-Oklahoma City. "Every time a news story runs regarding the adoption reform efforts at the Capitol, I receive calls and emails from people who have experienced what is wrong with the system. I think there must be many more people who have had terrible experiences, but are too concerned about potential negative consequences to their adoptions to speak up. These types of issues cause families to think twice about adoption, and that is not good for these vulnerable children. "The Adoption Reform Task Force needs to hear these stories," said Nelson. "We are working to recommend changes in the state's adoption code that we hope will dramatically reduce, if not eliminate, these kinds of negative stories. There are many ethical adoption agencies and attorneys, but we have to address those bad actors who take advantage of families under the cloak of confidentiality and with the threat of losing a child." Rep. Nelson and Sen. Steve Russell are the co-chairs of the Adoption Reform Task Force that began work earlier this year on a comprehensive review of state laws regarding adoption of minors in Oklahoma. The task force will make recommendations to the legislature for consideration in the 2010 and 2011 legislative sessions. OKLAHOMA CITY (April 27, 2009) – Legislation improving the provider network of autism specialists in Oklahoma is headed to the governor’s desk following House passage today. Senate Bill 135 mimics House Bill 2027, which originally passed the House unanimously. The bill calls for enactment of a licensing process for national Board Certified Behavior Analysts and enhancement of existing state programs that would train doctors to diagnose and treat autism. During a legislative study conducted last year, lawmakers learned that a shortage of trained providers has made it difficult for families to obtain autism services, even when they have financial assistance. "Currently, children with autism in our state only have a handful of providers to turn to for their treatment," said House Speaker Pro Tem Kris Steele, R-Shawnee and author of the bill. "Our emphasis with this legislation is on increasing access to autism service providers, which will ensure much-needed services are available to these children in Oklahoma." When a recent state pilot program provided families over $12,000 a year to obtain autism-related services, much of the money went unspent because there were not enough professionals trained to work with children with autism. If signed into law, the bill would increase the number of trained specialists to treat autism spectrum disorders while allowing the open market to adjust coverage based on the demand of services. "This legislation addresses our immediate need, which is a lack of providers," said House Speaker Chris Benge, R-Tulsa. "I am pleased this legislation received bipartisan support in both the House and Senate and am hopeful the governor will sign it into law so we can begin work on building the state’s provider network as soon as possible." The bill passed the House without a single ‘no’ vote and now moves to the governor for his signature into law. • Establish a state license for national Board Certified Behavior Analysts and create a professional standard for Applied Behavior Analysis (ABA). • Increase training for the evaluation and diagnosis of autism spectrum disorders. • Enhance Sooner Start by providing professional training for the treatment of children with autism spectrum disorders. Sooner Start is an early intervention and treatment program for children with disabilities and developmental delays age birth to three. • Secure funding for an ABA Research Project to provide supervision to college students seeking licensure, quantify the effects of applied behavior analysis and offer parental training and support. • Provide intensive early intervention for more children by replicating Early Foundations. Early Foundations is an autism treatment and outreach model that offers behavior intervention through trained providers. "A measure to crack down on law firms charging excessive fees — which follows through on findings of a state grand jury three years ago — and a bill to change the way Oklahoma’s school year is calculated were signed into law during the weekend." HB2174 is the first House Bill by Nelson to be signed into law and represents the first step toward comprehensive adoption reform in Oklahoma. SB1029, which is set to be amended in a conference committee, will follow in the next few weeks completing the reform efforts for this legislative session. Rep. Nelson also serves as the House Co-chair of the Adoption Reform Task Force with Sen. Steve Russell. The task force was created last session by former State Rep. Susan Winchester. The task force began its work earlier this year and will likely work throughout the end of next year. Ideas for legislation developed by the task force will be considered during the 2010 and 2011 legislative sessions. The House of Representatives finished the first round of work on Senate bills this last week. We will now focus on conference committee work as we seek to reconcile the differences between the House and Senate in the bills that remain. The budget will also move to the top of the heap as we get close to the end of session and get a better understanding of the impact of the Federal Stimulus. State Rep. Jason Nelson, R-Oklahoma City, issued the following statement today in response to Gov. Brad Henry’s signing of Senate Bill 899. The legislation, carried in the House by Nelson, forces public officials to forgo a state pension if they are convicted of a crime related to abuse of office. The bill applies to any felony for bribery, corruption, forgery, perjury or any other crime related to their office. “Oklahoma has seen more than its fair share of crooked politicians. Now those individuals will not have a golden parachute financed by the taxpayers when they are finally caught and convicted. I appreciate Gov. Brad Henry’s support of this important reform. Senate Bill 458, coauthored by Rep. Jason Nelson, passed the House of Representatives today 92-0. SB 458 relates to the Uniformed and Overseas Citizens Absentee Voting Act of 1986. The measure provides that the secretary of the county election board may transmit balloting materials to an electronic mail address if the voter is a federal postcard application registrant, is eligible to receive an absentee ballot, provides a current address that is located outside the United States and an electronic mail address, and requests that balloting materials be sent by electronic mail. "This bill will make it easier for our men and women in the armed services to excersize their right to vote." OKLAHOMA CITY (April 16, 2009) – Both the Oklahoma House of Representatives and state Senate voted today to increase financial transparency during the adoption process and prevent crooked lawyers from extorting adoptive families. One of the measures – House Bill 2174, by state Rep. Jason Nelson – passed the state Senate today and now goes to Gov. Henry to be signed into law. The other bill – Senate Bill 1029, by state Sen. Steven Russell and Nelson – passed the Oklahoma House of Representatives today and returns to the Senate. "I am very pleased this legislation has received such broad bipartisan support," said Nelson, R-Oklahoma City. "For too long, Oklahoma has been known as a state that does not protect adoptive parents, adoptive children or birth mothers. We have allowed unethical lawyers to sell children and it’s a black eye for the state. This legislation will help end those abuses and identify the bad actors." House Bill 2174 would require public reporting of adoption expenses to increase transparency. The bill also requires that only one prospective adoptive family at a time may be billed for a birth mother’s expenses and that all adoptions must be conducted in one of four locations: the home county of the birth mother, the home county of the adoptive parents, or in Oklahoma or Tulsa Counties. Senate Bill 1029 would require the courts to conduct a home study for all non-kinship adoptions to ensure adoptive parents are able to support an adoptive child. The measure also requires that a written full-disclosure statement be provided to both the birth parent and adoptive parents by all attorneys or individuals involved in a direct-placement adoption in Oklahoma. The full-disclosure statement would include information such as the name and address of the attorney involved; the scope of services provided by the attorney; a procedure for grievances; a list of the fees charged for an adoption and refund policy; provisions informing those involved that coercion of birth parents is prohibited; provisions for avoiding conflicts of interest among birth parents, adoptive parents, and the attorney; and the specified time frame for completing an adoption. Although the Department of Human Services has a code that adoption agencies must follow, there is currently no oversight of the attorneys involved in adoptions. A May 2006 multicounty grand jury report found that some adoptive parents have been forced to pay for automobiles, car parts, traffic tickets, court costs in unrelated criminal cases, driver’s license reinstatement fees, television sets and utility bills – all masked as adoption costs. According to the grand jury report, the haphazard regulation of "adoption expenses" has created an atmosphere where some women and their attorneys effectively sold children. House Bill 2174 passed the state Senate on a 44-2 vote today and will become law with the governor’s signature. Senate Bill 1029 passed the Oklahoma House of Representatives today on an 88-10 vote. It now returns to the Senate for consideration of House amendments. The passage of both bills comes a day before a meeting of the Oklahoma Adoption Review Task Force, which Nelson now co-chairs with Russell. The group will meet at the state Capitol at 1 p.m. on Friday. OKLAHOMA CITY (April 14, 2009) – Disgraced and crooked Oklahoma politicians would lose their state pensions under legislation that now awaits the governor’s signature. Senate Bill 899, by state Sen. Glenn Coffee and state Rep. Jason Nelson (see video), would force public officials to forgo a state pension if they are convicted of a crime related to abuse of office. The bill applies to any felony for bribery, corruption, forgery, perjury or any other crime related to the duties of office, or related to campaign contributions or campaign financing. "This legislation sends a simple message: Elected officials will be held to a higher standard and crooked politicians who violate the public trust will not have a golden parachute when they get caught," said Nelson, R-Oklahoma City. Senate Bill 899, which is similar to House legislation also authored by Nelson, passed the Oklahoma House of Representatives today on a 91-3 vote. It previously passed the state Senate 46-0. It now proceeds to Gov. Brad Henry to be signed into law. The legislation is driven in part by the controversy surrounding the outsized pension benefits paid to former state Sen. Gene Stipe, a McAlester Democrat who resigned from office in March 2003 after five decades in office. Stipe is expected to receive a monthly benefit of more than $7,000. "Any public official involved in criminal activity has proven himself unworthy of state benefits," Nelson said. "It’s time Oklahoma instituted a zero-tolerance policy when it comes to public corruption. Crooked politicians should not receive any monetary award from the state, let alone a retirement income that dramatically exceeds the average earnings of most Oklahomans." The Sunday Oklahoman main editorial focused on adoption reform efforts being advanced by me and Sen. Steve Russell, R-Oklahoma City. "One bill would halt the practice of attorneys shopping around for judges who don’t question adoption-related fees. Another would require attorneys to disclose their adoption-related expenses. Those proposals seem sensible for a reason: they are." The editorial is refering to HB 2174 and SB 1029. "Legislation to expand tax incentives for energy efficient homes and give tax relief to the victims of the Feb. 10 tornado has cleared a state House committee." 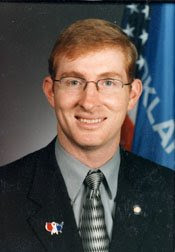 OKLAHOMA CITY (April 9, 2009) – Legislation to expand tax incentives for building energy efficient homes and give tax relief to the victims of the Feb. 10 tornado and spouses of fallen servicemen has been passed out of the House Appropriations and Budget Committee. Senate Bill 481, by state Sen. Todd Lamb and state Rep. Jason Nelson, would expand the existing credit for construction of energy efficient residential property, so that the credit can be used on the construction of property of any size beginning Jan. 1, 2010. Currently, the eligible residential properties are limited to 2,000 square feet. The bill would also give tornado victims an income tax credit for tax years after Dec. 31, 2009 and a credit for registration fees and the excise tax for any vehicle purchased to replace a vehicle destroyed by the Feb. 10 tornado. Larger residential properties stand to gain the most from energy efficiency, Nelson said. Nelson said tornado victims were in need of tax relief and that he was glad they would be supported by his measure also. “The February 10 tornado was devastating to some Oklahoma families and individuals and I am proud to include tax relief for them in my bill,” Nelson said. An amendment to the bill also added an income tax exemption for the spouses of fallen servicemen and women. Senate Bill 481 now proceeds to the full House for debate and a vote. OKLAHOMA CITY (April 9, 2009) – Members of the House Appropriations and Budget Committee called the state treasurer and the agency heads eligible for stimulus funds before their committee today to report how they plan to use the federal money. Earlier this session, House Speaker Chris Benge designated House A&B Chairman Ken Miller and the members on his committee to serve as an oversight board to ensure federal stimulus dollars are not spent without legislative direction. “We want to ensure these dollars are spent in a responsible way that will not obligate future legislatures to fill budget holes once the federal funds are exhausted,” said Benge, R-Tulsa. Members of the committee and other legislative members attended the meeting seeking clarification from the agency heads about the intent for the funds and possible strings that may or may not be attached to spending stimulus dollars. Additional meetings of the A&B committee will continue as stimulus funds are released and decisions are made on how those dollars will be spent. “The public deserves to know exactly what these agencies are doing with the federal money, and we will meet as often as necessary to help encourage agency officials to be prudent with taxpayer dollars,” said Miller. Watch the Channel 9 story. Click the headline to link to the NewsOK story and video reporting my response to opposition to adoption reform efforts proposed by me and State Senator Steve Russell. My goal with adoption reform is to make adoption the most attractive option to the mother of an unborn child.